Removes up to 93% of fluoride in addition to chlorine, chemicals, VOCs, pesticides, disinfectants, foul tastes and odors. 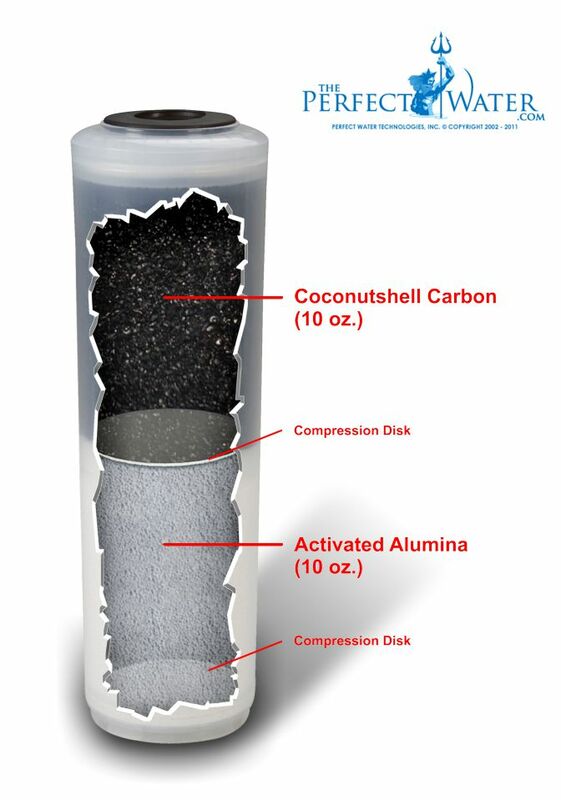 Updated for 2016 - new activated alumina media performs better over broader pH range. Fits Tap Master Jr., Value Line and standard 10" housings. IMPORTANT NOTE: Some companies selling fluoride removal filters use a 5000ppm figure to indicate the filter life. In real world conditions this equals about 300 gallons. The longer life they imply with the 5000ppm figure can only be achieved in laboratory conditions, not on a municipal tap water or hard well water which contains other substances such as calcium which are also filtered out by the media removing the fluoride. General Operating Conditions Feed water: PSI 20 - 100 PSI Feed water Temperature: 40˚ - 100˚(F) Max. Total Dissolved Solids (TDS): 2000 ppm, pH: <7.5 * Your results may vary depending on regular maintenance, general condition of unit, and initial water supply.